Thanks for your interest in carrying our products. Your business and friendship mean the world to us, as do your beloved customers, so it's a pleasure to serve you. We proudly guarantee our products, and we're always mindful that our success depends on your success. We can help tailor the selection in your store to complement your goods and services. We can even make custom cards especially for your store! 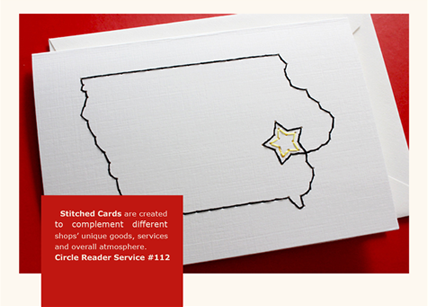 Local and personal themes are our forte, so please let us treat you to unique cards especially for your neighborhood. We have the best customers. We're so glad you're here. Simply send us an email with your order. If you need a current price sheet - piece of cake - just let us know and we'll send it over. Please contact us directly to get started, or inquire about reps near you. We sincerely look forward to it.